In “Ramallah/New York,” above, Emily Jacir showed that Palestinian life in those two places can feel much the same. 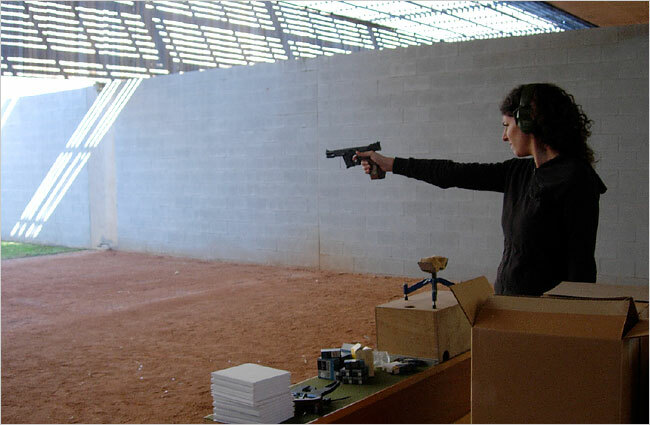 IN 2006 Emily Jacir fired a .22-caliber gun successively at 1,000 white books ranged on shelves for the installation piece “Material for a Film,” which commemorates the 1972 assassination of the Palestinian intellectual Wael Zuaiter by Israeli intelligence agents. 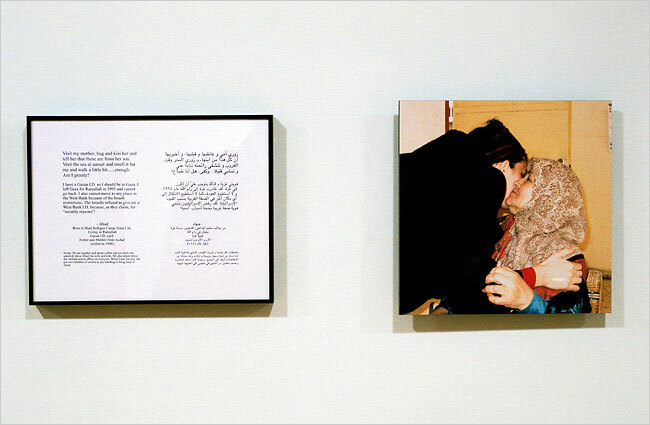 In “Material for a Film,” she commemorated the assassination of a Palestinian poet by firing at books. On Friday two versions of the bullet-scarred piece will go on view at the Guggenheim Museum in an exhibition devoted to Ms. Jacir, 38, the winner of the 2008 Hugo Boss Prize, bestowed every other year by a jury overseen by the Guggenheim Foundation in recognition of “significant achievement” by a contemporary artist. Ms. Jacir is known for works that blur the boundary between art and life, with a frequent emphasis on global mobility and political exile. An artist of Palestinian descent who mainly divides her time between New York and the West Bank town of Ramallah, she has often explored the impact of Israeli actions on Palestinians. The killing in Rome of Mr. Zuaiter, a spokesman for the Palestinian cause, was carried out by Mossad agents in retaliation for the slayings that year of 11 Israeli athletes at the Munich Olympics. Israeli agents said he played a role in planning the attack; Palestinian factions vigorously denied it, and subsequent accounts by investigative journalists have also raised doubts that he was involved in those killings. In “Where We Come From,” perhaps her most acclaimed piece, Ms. Jacir addressed the theme of a lost Palestinian homeland. To create the work, she used her American passport to realize desires — lighting a candle in Haifa, for example — of Palestinians who lacked the freedom of movement needed to cross borders freely between Israel and the West Bank. Her politically provocative art has drawn some sharp criticism from those who feel it maligns Israel, and the Guggenheim show is opening against a backdrop of fervid controversy over Israel’s offensive against Hamas in Gaza. Asked to take part in a question-and-answer session about her work in person or by telephone, Ms. Jacir declined, but she agreed to respond to queries submitted by e-mail. Q. Why did you create an artwork focusing on Wael Zuaiter, and who was he? A. Since I was a teenager I have been haunted by the Mossad massacres of Palestinian intellectuals, poets and politicians. Back in 1998 I began collecting as much information as I could on the Palestinians who were murdered on European soil. Initially my plan was to make a project about all of them. The more I researched, however, the more compelled I became with Wael’s story in and of itself. He was the first target and an innocent man. Q. 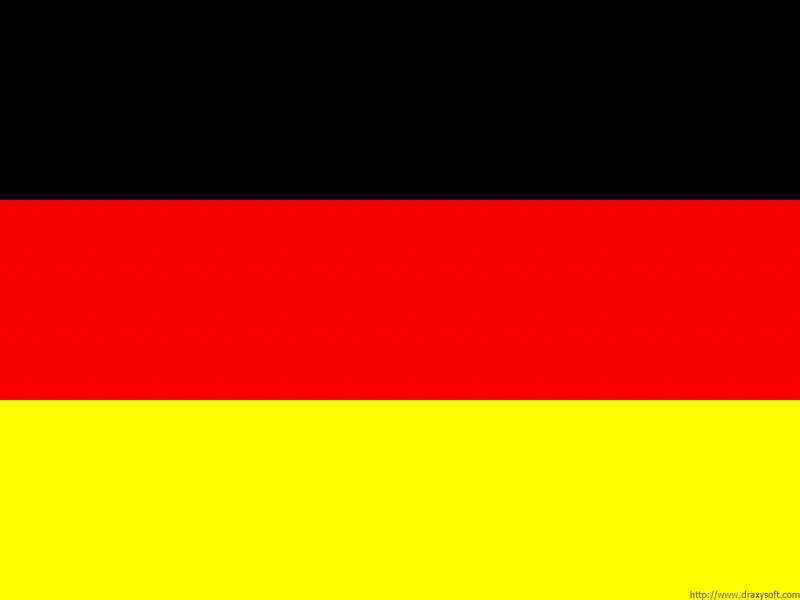 Why did you want to symbolically re-enact Zuaiter’s shooting? A. This piece is based on one element of Wael’s story that I discovered during my research, which was that he was killed by 12 bullets at close range to his body, but there was a 13th bullet which struck his copy of “A Thousand and One Nights.” Wael’s dream had been to translate “A Thousand and One Nights” directly from Arabic into Italian. He had been working on this project since his arrival in Italy. This alone inspired an entire performance in which I shot 1,000 books each with one bullet using the same gun the Mossad had used to kill Palestinians in Europe. The books were white, and they were blank and symbolized the thousands of stories that have not been written and will not be written. Q. How did you learn that he had been carrying that book? A. The Rome police found Volume 2 of “A Thousand and One Nights” on Wael’s body in his pocket pierced with a 13th bullet. At 6 a.m. they came to [Zuaiter’s companion] Janet Venn-Brown’s apartment to inform her of the murder and take her in for questioning. It was then that they gave her the book, which she safeguarded for 30 years. She then donated the book to the Wael Zuaiter Center in Massa Carrara [a province in Tuscany], where you can go see it if you’d like. Q. Where did you learn to fire the weapon? A. The 2006 Sydney Biennial organized that. ... At a local shooting range. Q. What was it like to shoot the gun 1,000 times? A. I shot it much more than 1,000 times. I was in training for a few days learning how to shoot before I embarked on my project. It was grueling and required a lot of stamina. Q. Did you feel a sense of revenge against the Mossad? A. Absolutely not, and that was not the intention of the piece. Q. Steven Spielberg’s film “Munich” appeared in 2005 around the time you began work on “Material for a Film.” Was it a catalyst for your project? A. Spielberg’s film appeared long after I was well into my research, and he didn’t bring anything new to the table. Q. What would you like those who view this work at the Guggenheim to take away from seeing it? Q. You’re active politically. In the past few weeks you have called for artists to boycott Israel and for New Yorkers to condemn Mayor Michael R. Bloomberg’s recent visit to Israel in support of Israeli military actions. How do you distinguish between your political activity and your art? A. They are two completely different things. Q. How so? Aren’t they conjoined, in a sense? A. Yes, they are conjoined in the sense that this is like asking me how I distinguish between my love life and my art, or my family and my art, or the food I cook and my art. Or my physical activity and my art, or my intellectual pursuits and my art. A document and image from Ms. Jacir's project “Where We Come From,” in which she set out to realize the desires of Palestinians who could not travel freely. Q. You’ve said that “a lot of my work is not so directly about Palestine, but about me wandering through space and time.” In recent years your work has become increasingly concerned with documenting the effect of Israeli actions on Palestinians, as seen in your video piece “Crossing Surda,” where you show the hardships imposed by West Bank checkpoints. Why has your work developed in this direction? A. My work comes out of my life experience, and that experience is broad and varied. That particular piece you are referencing, “Crossing Surda” (a record of going to and from work), exists because an Israeli soldier threatened me and put an M-16 into my temple. [Ms. Jacir says she was filming her feet with a video camera at a checkpoint that day.] If I had not had this direct threatening experience this piece would not exist. Q. In biographical information distributed about you, your birthplace has variously been given as Palestine; Bethlehem; Riyadh, Saudi Arabia; Jordan; Chicago; Memphis; Baghdad; and Houston. Where were you in fact born? Q. Much of your work deals with the Palestinian historical narrative and its commemoration. The haunting sense of absence is reminiscent of conceptual works related to the Holocaust, for example the British sculptor Rachel Whiteread’s concrete library, a monument to the murdered Jews of Vienna, or the pillar erected by Jochen Gerz and Esther Shalev-Gerz in Hamburg that is lowered into the ground when inscribed by citizens with messages remembering Nazi victims. What have you learned from such works, and do you yourself see such a connection? A. I absolutely agree that there is a connection with such works and others. We are talking about entire communities that have faced large-scale unspeakable trauma, so there is bound to be a connection in works that try to deal with this. One of the most profound art experiences I had when I was studying was seeing the Hans Haacke piece “Germania” at the Venice Biennale in 1993, which addressed the Nazi-era German pavilion. There was a photograph showing Hitler at the 1934 Biennale, and then you walked around and into the giant empty pavilion where he had jackhammered the entire floor of the German pavilion into fragments, and you walked on these fragments where microphones picked up the sound of the shattered pieces shifting. Alfredo Jaar’s “Rwanda Project” is also another work that deals with trauma and commemoration that impacted my thinking. Q. Do you expect your Guggenheim exhibition to attract controversy? A. Unfortunately I am afraid it might. I really hope not, but the reality of the situation is that the Palestinian narrative has been strictly censored in this country, so when it does get a chance to be told, people get really upset. Q. You’ve been teaching at the International Academy of Art Palestine, founded in Ramallah in the West Bank. What are the most important things that you attempt to convey to students there? A. The same as the things I try to convey to students I teach anywhere. I hope I can cultivate and nourish critical thinking, teach them to learn how to see, and to impart learning skills that they will have for life.